Terry, Ellen (1847-1928): During an engagement at the Haymarket Theatre, Terry and her sister Kate had their portraits painted by the eminent artist George Frederick Watts, and he soon proposed marriage; Ellen was sixteen years old. 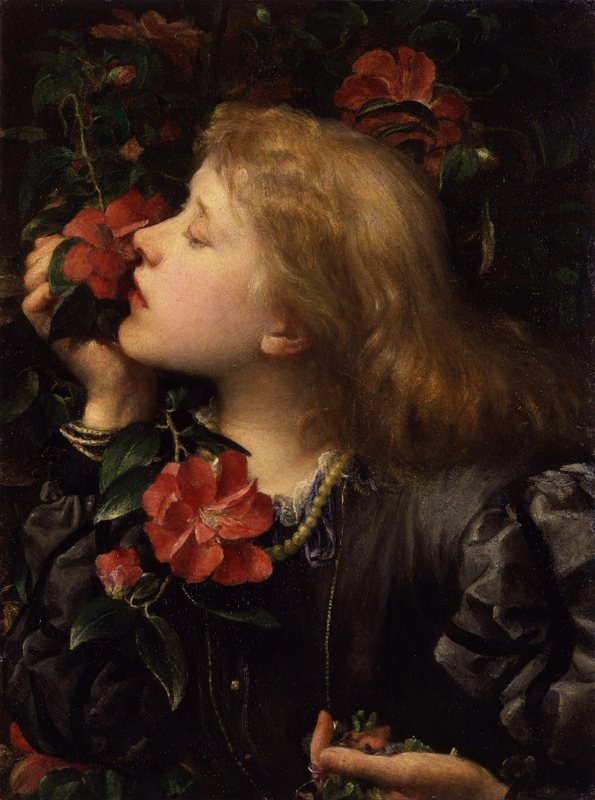 Watts's famous portraits of Terry include "Choosing," in which Terry must select between earthly vanities, symbolized by showy, but scent-less camellias and nobler values symbolized by humble-looking, but fragrant violets. Other famous portraits include "Ophelia." Ellen and Watts married on 20 February, 1864, and separated after only ten months of marriage.